Dave Chalk was born May 3, 1952 in North Bay, Ontario to Carl and Myrtle Chalk. He moved to Parry Sound in 1954, where he lived at 21 Louisa Street along with his sister Lynn. Dave, a student of Victory Public School got his start playing minor hockey in 1967 for the Parry Sound Brunswick’s at the Junior C level and continued playing with the Brunswick’s until late 1969. Throughout his years in minor hockey, Dave was highly recognized for his understanding of the game, and his outstanding play. While attending Parry Sound High School, Dave was given the opportunity to move onto higher hockey levels. He began playing in the Ontario Junior A league for the St.Thomas Barons in St. Thomas, Ontario, finishing his high school education at Parkside Collegiate High School. During his time with the St. Thomas Barons, Dave achieved Tier II in Western Ontario and made the All-Star team for this league, which consisted of players from St.Thomas, Detroit, Guelph, Chatham, Windsor and Brantford. 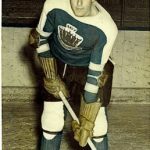 While playing in the Junior A League, Dave was scouted by old friend, former teammate and present scout for the Ottawa Senators, Frankie Jay, who was scouting players for the California Golden Seals. Dave attended the Seals hockey camp but due to a number of concussions and torn muscles he was unable to stay as long as hoped. 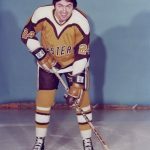 Instead, he was sent to play for the Columbus Golden Seals – a move that lasted from 1970 to 1971. Shortly after Dave was invited to attend the Toronto Toro’s Camp which represented the World Hockey Association. In 1974 Dave decided to pursue a Bachelor’s Degree in mathematics and geography, and enrolled in Laurentian University in Sudbury, Ontario. He attended Laurentian for one year before deciding to transfer to York University in order to attend school and play hockey for the York Yeomen’s, whose team name was derived from an old English term meaning “to work hard”. While playing for the Yeomen’s Dave acted as captain and eventually become the team’s first All-Star player, chosen by the CIAU or the Canadian Interuniversity Athletic Union. During Dave’s last year of University he was asked to briefly join the Barrie Flyers in order to beef up their teams for the playoffs. Dave played with this team for approximately five months. Dave was also invited to join the Canadian National Team. He toured Europe with them for one month of the Christmas Season. After Christmas he returned to Canada, where he planned to further his education by attending Teacher’s College at the University of Toronto. Instead Dave met Tom Watt, the coach of the University of Toronto’s team, and the man slated to coach the Canadian Olympic Team. Tom asked Dave to attend the Olympic Evaluation Camp where he was joined by many members of his Canadian National Team. While attending the Olympic Evaluation Camp Dave trained with many players who went on to join the NHL, including Mike Foligno and Randy Greg. During the Olympic Evaluation Camp, Dave was contacted by Frankie Neil, a scout for Lahti, Finland. Frankie had recently brought in one of the two Canadian imports allowed in the European hockey league and the team was not happy with his performance. When asked about a Canadian player he thought could replace this man, Frankie thought instantly of Dave. Dave talked to Olympic Team Coach, Tom Watts, about the offer. Tom advised Dave who was approaching the age of 26, to take the opportunity to play professionally before it was too late. With this advice Dave packed his things and moved to Finland. While in Finland, Dave was scouted to play for a German team in the “Bundisliga”; and lastly for Landshut, located just outside of Munich, where he was often one of the top ten scorers. 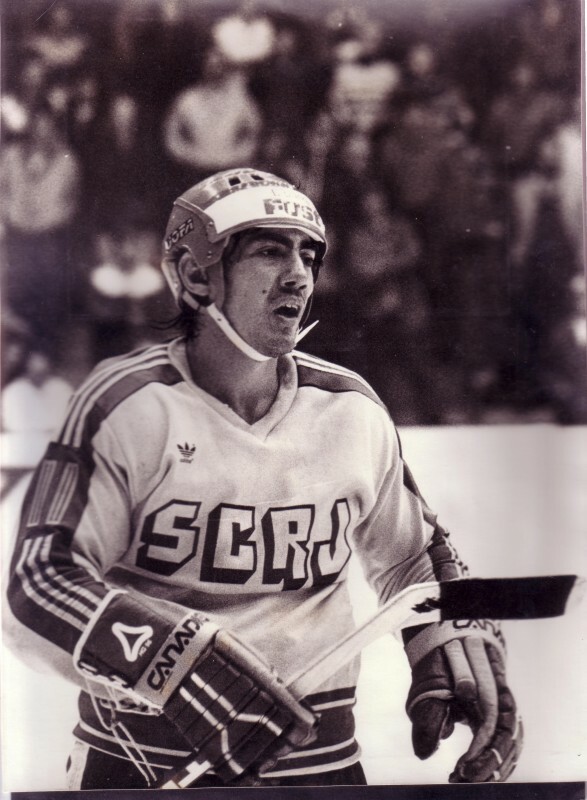 While with Landshut, Dave was asked to play defense for a team in Düsseldorf, Germany to compete for the Spengler Cup. The Spengler Cup, which features club teams from around the world, is the oldest international ice hockey club team tournament. It is played each year in Davos, Switzerland, between Christmas and New Year’s Day. Unfortunately the Dusseldorf team did not make it far in the tournament. After the Spengler Cup, Dave joined the Rapperswill, Switzerland, team. It was while he was with this team that he was invited to play for the Spengler Cups host team Davos, Switzerland. 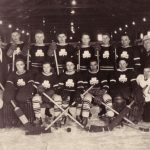 With the help of Dave and another eight to ten Canadians brought on to make the European team stronger, Davos won the Spengler Cup silver medal – gold winners were the Wings of the Red Army. Winning the Silver Medal became Dave’s most memorable hockey experience. In 1980, while in Europe, Dave met his future wife Ellen, and in 1982, became a doting father to daughter Jennifer, making her birth his new most memorable moment. 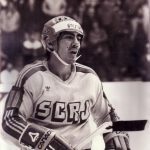 Dave received a level 5 coaching degree in Kitchener, Ontario and shortly after, in 1984, officially retired from pro hockey. 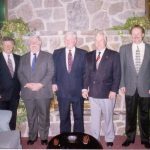 In 1985, hockey roots took Dave to Markham, Ontario, where he became a business partner with fellow Parry Sounder, friend and former minor hockey teammate, Doug Adair, and created Rep Sports, a very successful sporting goods store which eventually grew to two outlets. Dave and Doug ran their business for many years, but eventually sold the company to Ron Blanchard, who changed the name to Bobby Orr Sports in honour of his famous brother-in-law. In 1990, Dave moved back to Parry Sound and started his own construction business where he has been successful in aiding in the construction of three apartment buildings located on Great North Road and a ten unit building on River Street. He ran his construction business from 1990-1994 until the rental market seemed to move into a downward trend. Having an entrepreneurial spirit, Dave began scouting potential business endeavors. He noticed that golf was rising in popularity, especially with what he likes to call the “Tiger Woods Boom”. Analyzing the Parry Sound area, Dave discovered that only one golf club, the Parry Sound Golf and Country Club was located here. He believed there was a need for an additional course. With very little money and experience Dave took a chance and bought a piece of land – at the time a farmer’s field – and began developing the Deer Run Golf Course. The course opened officially on June 16, 1995, and Dave remains the owner/operator to this day. Today, Dave lives in Parry Sound with his partner Louise. He still plays hockey – with a team his company sponsors in the Industrial League. He is the oldest member of the team. Dave thoroughly enjoys the physical challenge of playing with younger players; and although he can still keep up with them, he says this year may be his last. He has been talking about bronzing his hockey skates, which he often states as being very good to him. Dave’s appreciative nature, outstanding achievements in Hockey, and his dedication to enhancing sports activities in the Parry Sound area make him worthy of taking his rightful place as a 2006-2007 inductee into the Bobby Orr Hall of Fame.